A £50m project is aiming to be Europe’s leading centre for compound semiconductors such as gallium nitride and silicon carbide for LED, radio and power applications. The Compound Semiconductor Applications Catapult will be based in Newport, Wales, with support from the University of Bath. It is about to appoint a chief executive and create a technology campus. 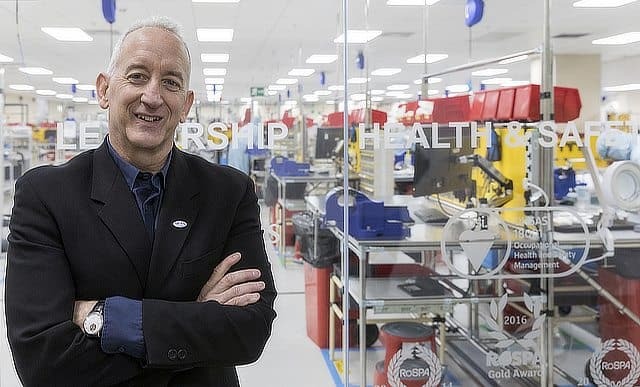 “This would be a place where international compound companies come to engage on process flows, application development, in an agnostic way – will that be 10 years or 20, I don’t know, but that’s where we are heading,” said Kevin Crofton, President of semiconductor equipment maker SPTS and newly appointed chair of the catapult who lives in Bristol. “There’s an immense supply chain [of companies] but it’s fragmented. There are many small companies with great ideas and great technologies that can’t get their technologies to market,” he said. “The vision of the catapult is to identify the opportunities in power or RF or LED or communications, and identify the biggest hurdles to bringing products to market faster. “The challenge for the catapult right now is to decide which quick wins can we get in which areas and which projects can we fund with 3 to 5 year horizons and there’s a balance between the two,” he said. Along with Bath, the Catapult is working with universities at Cardiff and Swansea and has approached Bristol, says Crofton. It is funded with £10m a year for the next five years.